For something as unknown as the future, it appears to have become surprisingly predictable. A Google search of ‘future 2030’ yields more than 97 million results, all more or less claiming similar things: that 2030 will see a more connected, yet fragmented world, with hazardous shifts in demography and energy, and dangerous changes in technology, environment, and politics. The future, while overall negative, appears to be a rather certain place. This illusion of definitiveness is created by two dynamics: first, the pessimistic tone that runs through the vast majority of foresight reports. 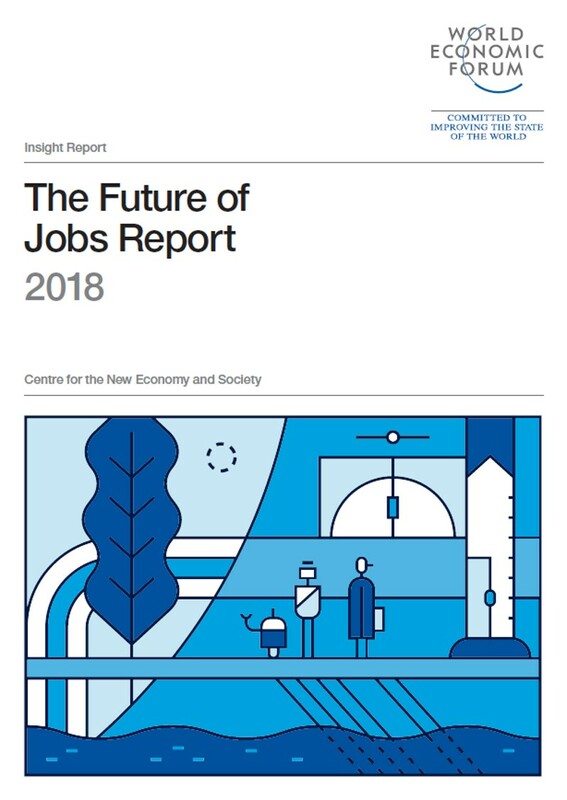 This is a common feature when it comes to future thinking, with one study showing that all studies undertaken on the future over the last 70 years have one thing in common; pessimism. The reason for this is simple: although both optimism and pessimism are natural human dispositions, the latter is more prevalent by far. Humans are, genetically speaking, biased towards the negative – some studies even indicate that this is particularly the case for Europeans. Second, pessimism in foresight is encouraged by the grave air that surrounds it: in general, negative statements are given more attention than positive ones. That said, more pessimism in foresight does not equal greater accuracy, as one study shows. 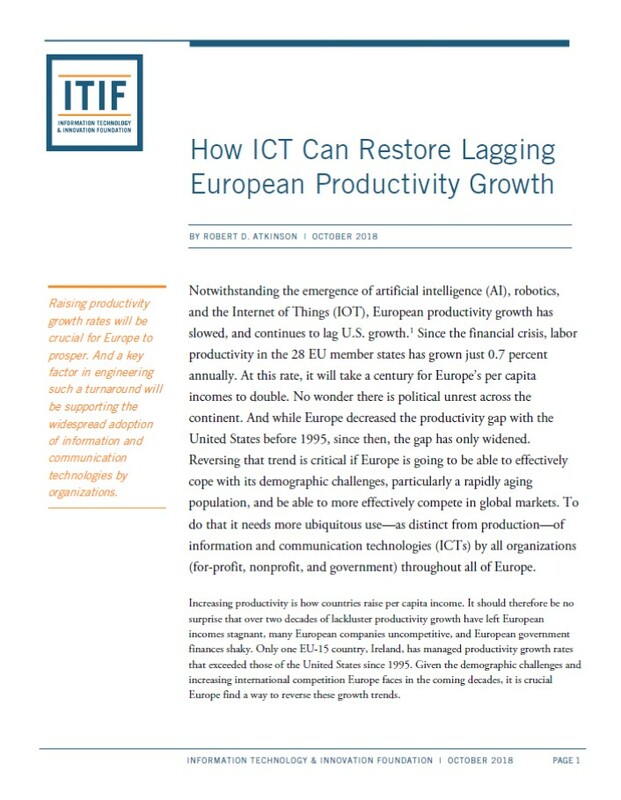 Notwithstanding the emergence of artificial intelligence (AI), robotics, and the Internet of Things (IOT), European productivity growth has slowed, and continues to lag U.S. growth.1 Since the financial crisis, labor productivity in the 28 EU member states has grown just 0.7 percent annually. 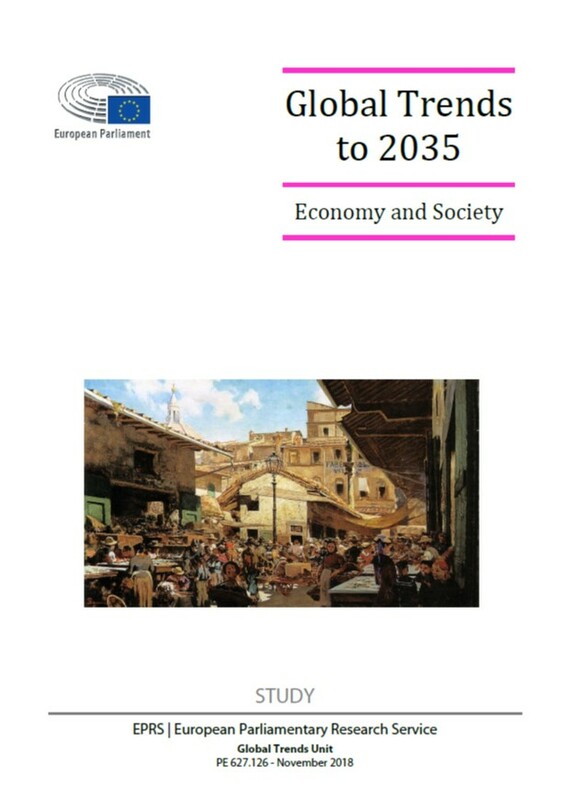 At this rate, it will take a century for Europe’s per capita incomes to double. No wonder there is political unrest across the continent. And while Europe decreased the productivity gap with the United States before 1995, since then, the gap has only widened. 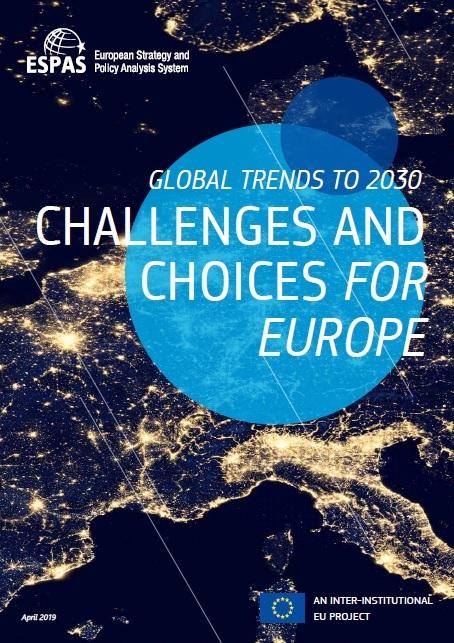 Reversing that trend is critical if Europe is going to be able to effectively cope with its demographic challenges, particularly a rapidly aging population, and be able to more effectively compete in global markets. To do that it needs more ubiquitous use—as distinct from production—of information and communication technologies (ICTs) by all organizations (for-profit, nonprofit, and government) throughout all of Europe. Digital skills are vital for individuals and national economies to prosper in a rapidly-changing world, benefiting from the opportunities of digital and remaining resilient to potential risks. More than 90 per cent of jobs in some categories now demand digital skills. Yet in 2016, just 56 per cent of Europeans had adequate digital skills for the world they live in, and 37 per cent of the workforce lacked adequate digital skills. 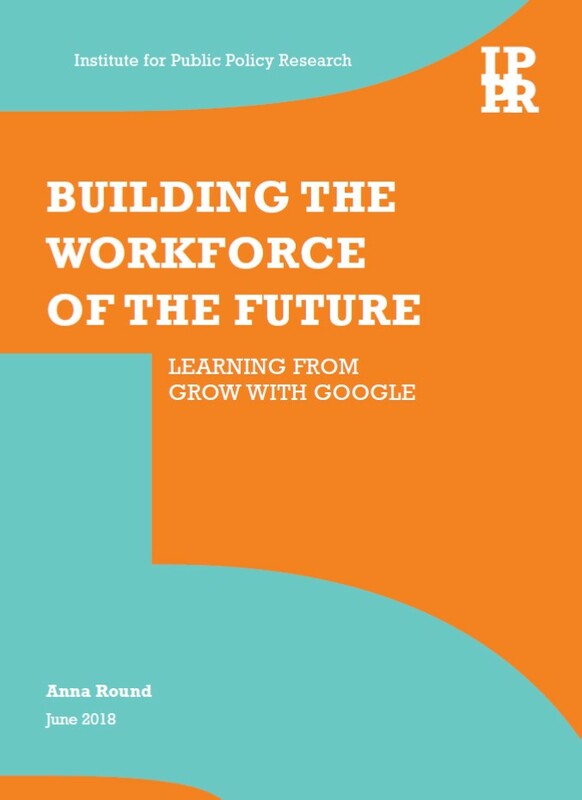 In this project we examined the development and approach of Grow with Google, a project which operates through national programmes matched closely to the contexts and needs of individual countries, in six case study countries (Sweden, Germany, France, Spain, Italy and Nigeria) in order to identify key themes and learning to support ongoing good practice in growing a digital skills ecosystem. 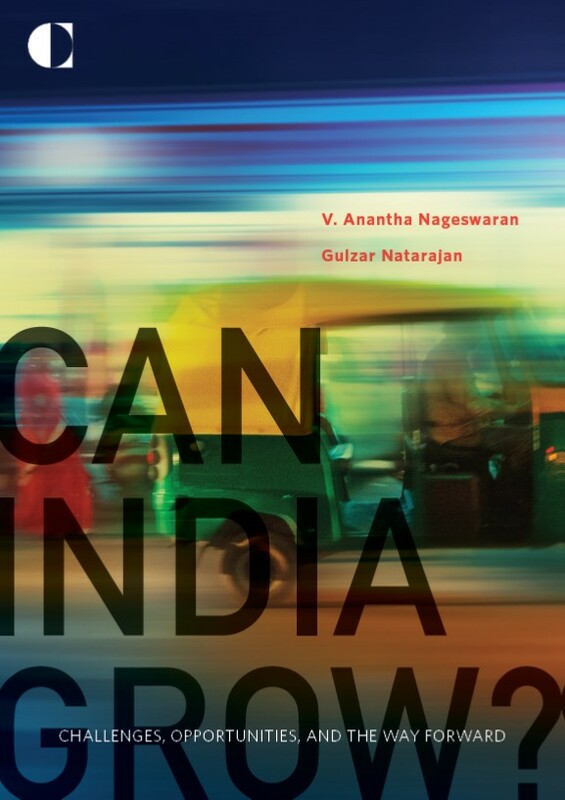 Despite India’s impressive economic growth rates in the mid-2000s, the long-term magnitude and sustainability of this progress remains uncertain. India’s rapid population expansion requires that the country sustain long-term growth to enable job creation over time. For the country to achieve this enduring trajectory, India must correctly identify the economic fundamentals behind such growth. This should include both short-term, cyclical barriers and long-term, structural impediments that hold it back. Articulating a set of policy priorities and guiding principles that address these issues is the best way forward for India’s future economic prospects. 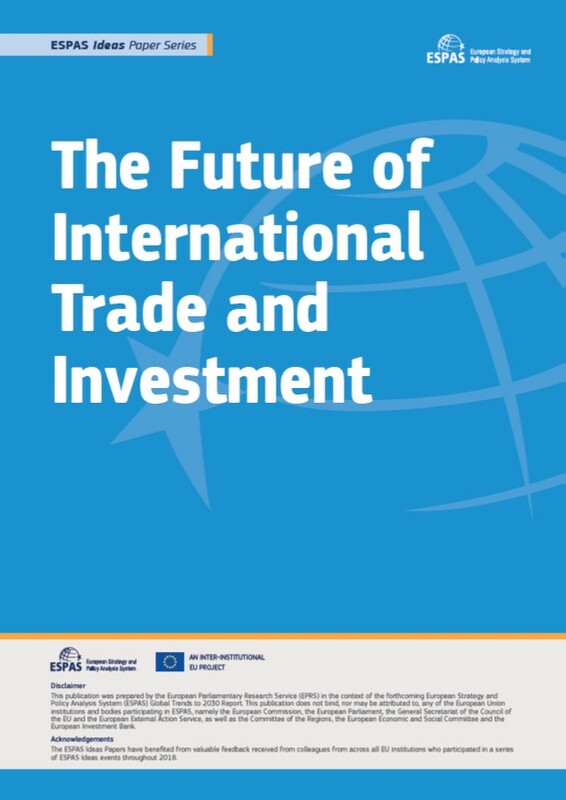 This paper examines current trends, uncertainties and wild cards in relation to international trade and investment. It then considers implications for the European Union. The European Union’s interest remains clear: a rules-based order is better than a transactional or winner-takes-all approach to international trade. But it is wise to plan for the worst, while hoping for the best. The future of international trade and investment may lie somewhere between the extremes of the status quo and a reversion to protectionism. This would involve a thorough revision and rebalancing of multilateral norms, to take account of major global changes on many fronts. The EU has traditionally been a leading player in the creation of international institutions and norms. But the days when Europe could dictate the global agenda are over. Europe’s role will be increasingly a matter of seeking to influence events, rather than asserting dominance. In the coming decades, internal unity and a strong sense of purpose will be all the more important. While Europe has made substantial progress in the development of its High Performance Computing (HPC) ecosystem in the last few years, the study has identified a significant investment gap, which has led to a setback in its relative global position. • Identify successful commercial business models in the HPC market. • Assess the financing requirements in key market segments and identify current financing bottlenecks. • Provide recommendations to bridge the current gap between technology providers/users (demand side for financing) and investors (supply side). • Explore options for public-private partnerships in financing HPC and propose ways of funding the HPC sector under the current EU financial instruments.